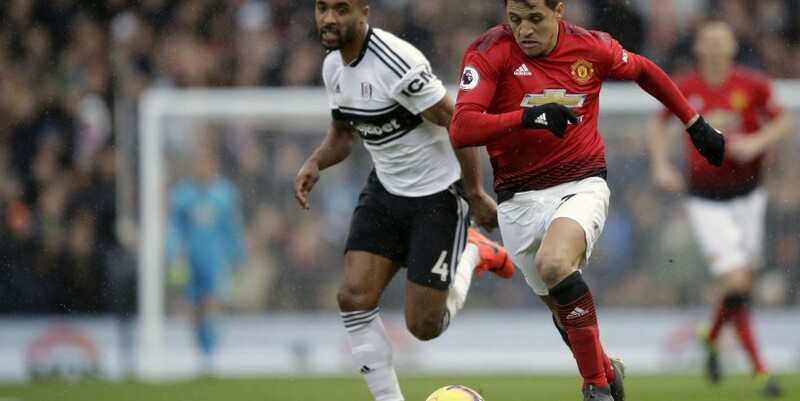 LONDON (AP) — Manchester United moved into the Premier League's top four by beating Fulham 3-0 at Craven Cottage on Saturday, with Paul Pogba scoring two more goals to continue his resurgence under Ole Gunnar Solskjaer. Pogba gave United the lead with a blistering shot from a tight angle in the 14th minute and converted a penalty for the third goal in the 65th, taking his tally to eight goals in his last eight league games under Solskjaer. The Norwegian manager has now steered the club to eight wins in nine league games since taking over from the fired Jose Mourinho in December. United was 11 points from fourth place at the time, but suddenly looks like a real contender for a Champions League spot. "He is playing to his potential," Solskjaer said about Pogba. "We are trying to make a better team and put players in a position where we can hurt teams. We know Paul, with his physicality, energy and strength, is going to be a problem for anyone. I speak to him like I speak to the other players. It is about getting the best out of everyone but he is definitely responding to the way we do things now."